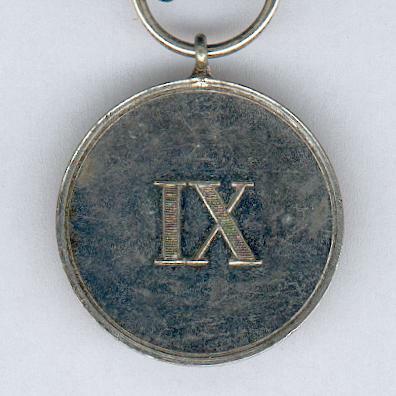 Circular ‘neusilber’ (nickel silver) medal with loop for ribbon suspension; the face with the Prussian crown centrally, circumscribed ‘Treue Dienste bei der Fahne’ (Loyal Service under the Colours) in Gothic script; the reverse with the Roman numeral ‘IX’ (= 9); on probably replaced correct ribbon. 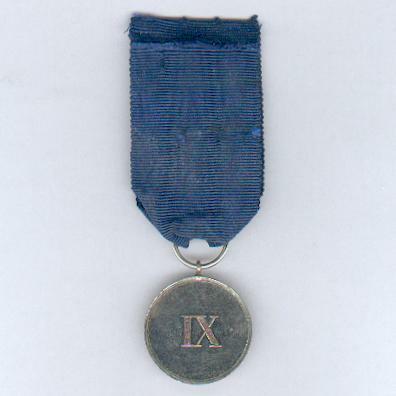 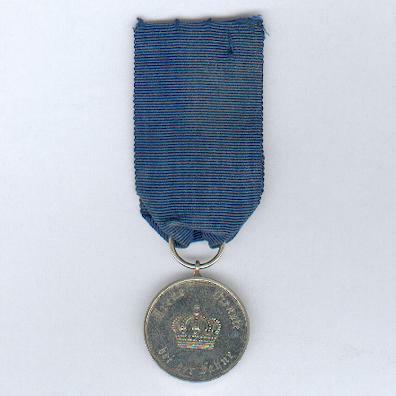 The Medal was instituted in 1913 to replace the ‘Bandschnalle’ form dating from 1825 and awarded on completion of nine years’ service. 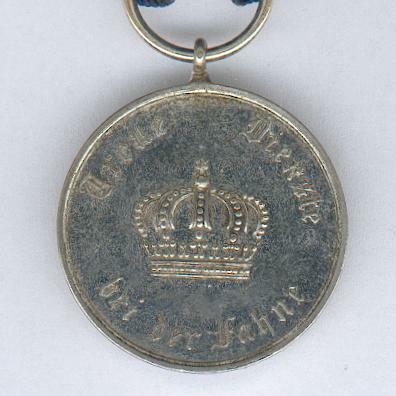 It was suppressed in 1920.